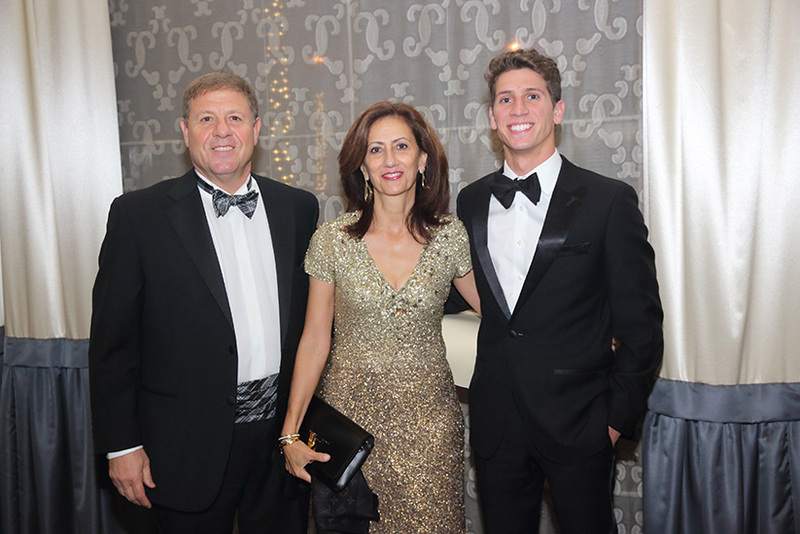 LOS ANGELES, California – The American University of Armenia (AUA) celebrated its 25th anniversary with a spectacular gala held at the landmark Beverly Wilshire on November 19, with over $1.5 million being raised to benefit AUA’s scholarship funds. 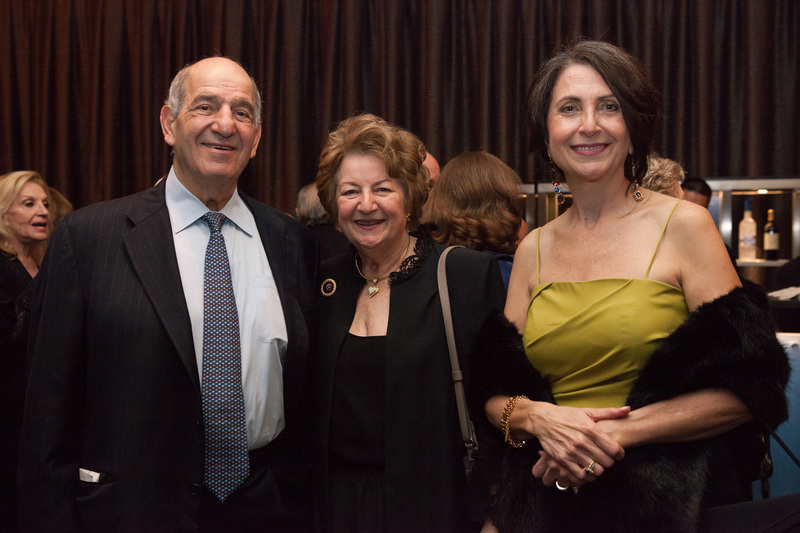 Co-chairs Zaven P. Akian and Sinan Sinanian were among the 680 guests who represented a broad and diverse spectrum of the Armenian-American community of Los Angeles. 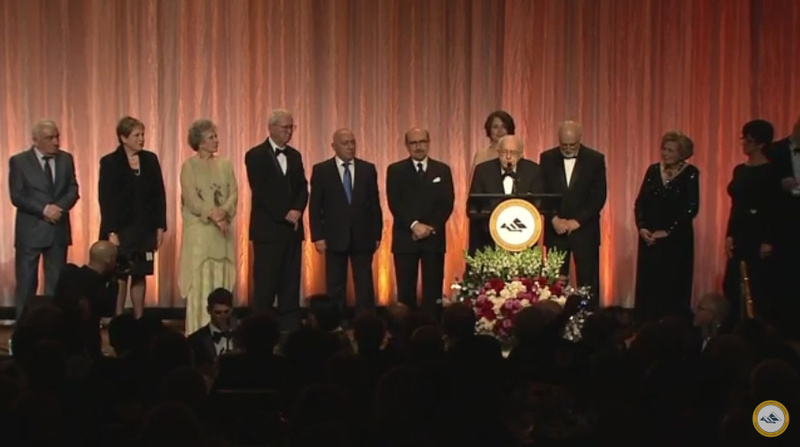 AUA founders Dr. & Mrs. Mihran and Elizabeth Agbabian, Dr. & Mrs. Armen and Nelly Der Kiureghian, Dr. & Mrs. Stepan (in memoriam) and Seta Karamardian, and Mrs. Louise Manoogian Simone were recognized by Dr. Lawrence H. Pitts, Chair of AUA’s Board of Trustees. Speaking on behalf of the honorees was Dr. Agbabian, who stated he was fortunate to take part in the challenge of establishing an American university in Armenia 25 years ago and did what he considered was the right thing to do at the time. Also recognized were three entities, the Armenian General Benevolent Union (AGBU), the University of California (UC), and the Armenian government, for their integral roles in establishing AUA in 1991. 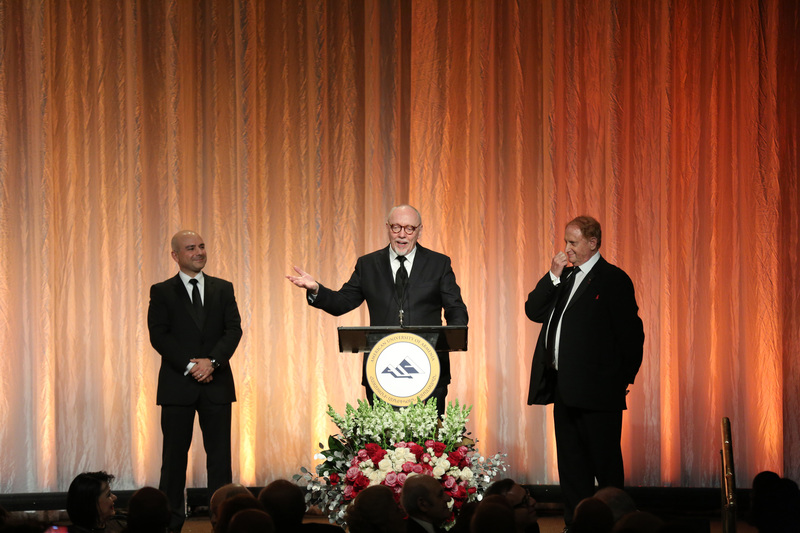 Adam Kablanian, Chairman of the AUA Development Committee, thanked the evening’s sponsors and donors and recognized Mr. & Mrs. Sarkis and Ruth Bedevian, who had recently established a $400,000 endowment for the University. 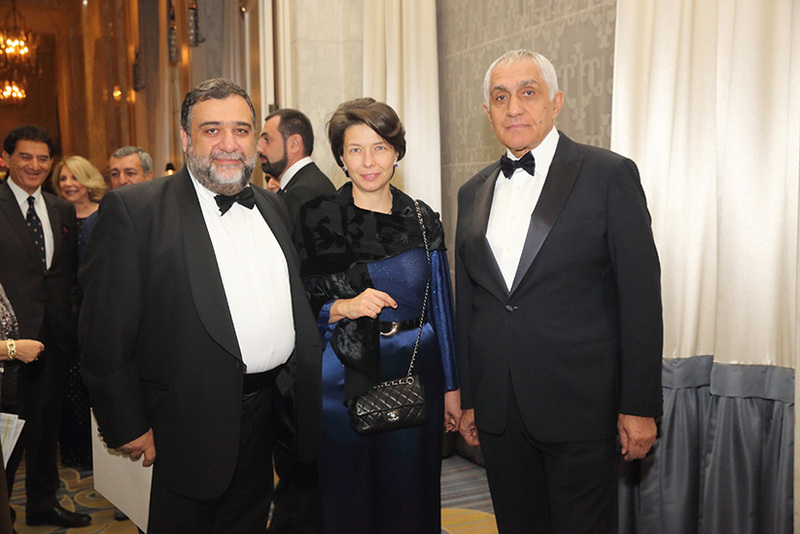 Mr. Kablanian also acknowledged the 30 AUA Pillars present that evening for their support of the University with unrestricted gifts of $50,000 distributed over the course of five years. The 100 Pillars of AUA, a campaign launched in honor of the institution’s 25th anniversary this year, aims to secure 100 pillars committed to supporting the University’s pledge to provide students with a high quality education. Dr. Armen Der Kiureghian, President of AUA, reported on the accomplishments of the University during the past 25 years and its goals for the future, including the establishment of new programs and expansion of the campus. He emphasized the University’s goal to help make Armenia a global destination for high-quality education and research. The President went on to make three special announcements. 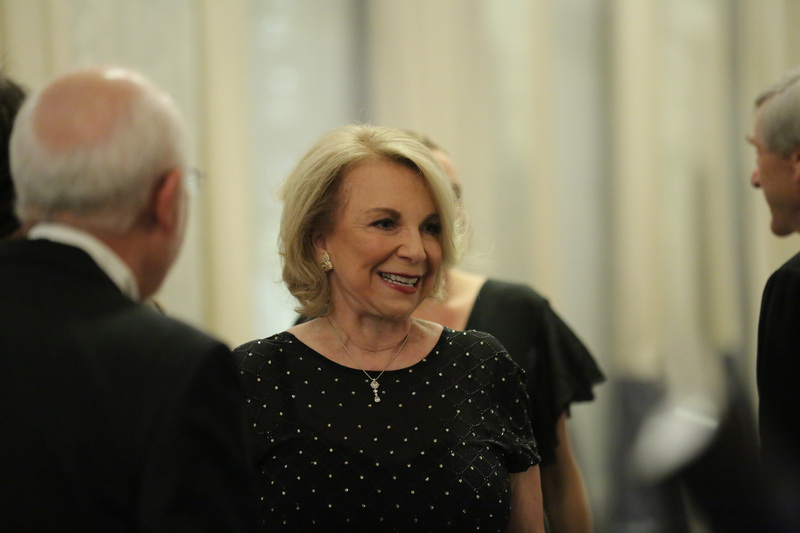 First, he recognized Mrs. Louise Manoogian Simone for her decisive role in the founding of AUA and her extraordinary generosity towards the University since its inception. The President then announced that effective immediately, the AUA College of Business and Economics was officially named The Manoogian Simone College of Business and Economics in recognition of a special endowment that Mrs. Simone has established to support the College. 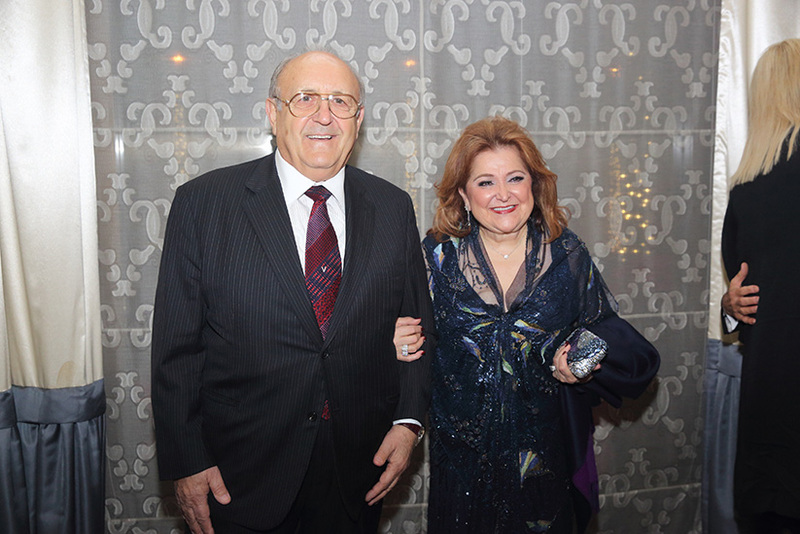 A second dedication was announced in recognition of the generous support provided to AUA over the years by benefactors Mr. & Mrs. Zaven and Sonia Akian. 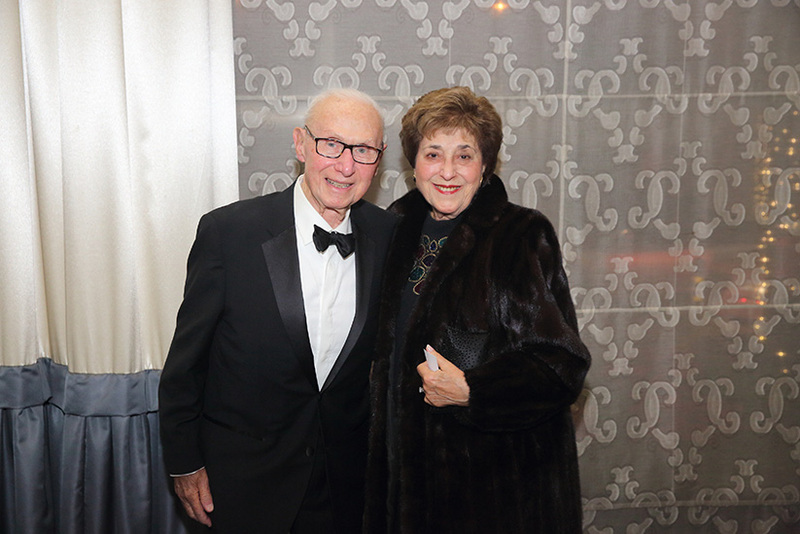 The couple has established scholarships for hundreds of students and provided crucial support for constructing and furnishing the Akian Art Gallery at AUA, as well as numerous other projects. 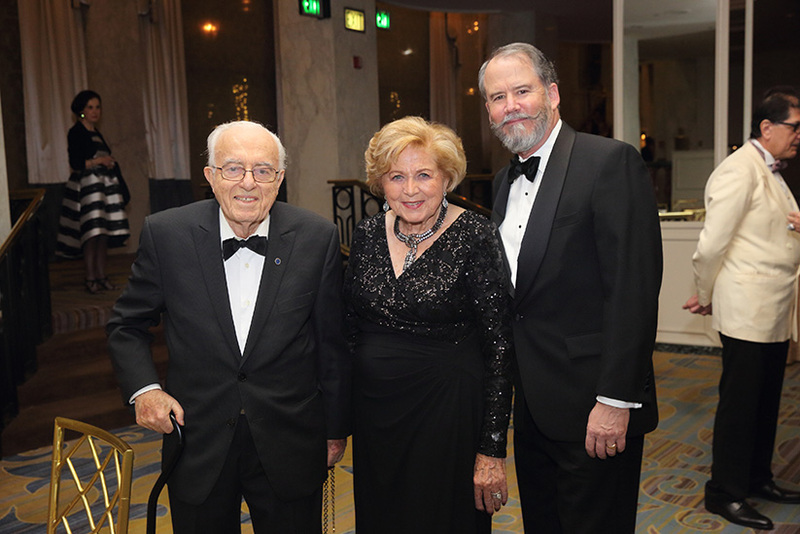 The AUA College of Science and Engineering was named The Zaven P. Akian College of Science and Engineering in appreciation of all the support demonstrated by the Akians, along with a special endowment they established for the College. The final announcement made by Dr. Der Kiureghian was with regard to the vital support given to AUA by Mr. & Mrs. Gerald and Patricia Turpanjian, which includes scholarships to over 3,000 students, support for the Turpanjian Center for Policy Analysis, and the establishment of the Turpanjian Rural Development Program. The President announced the naming of AUA’s School of Public Health as The Gerald and Patricia Turpanjian School of Public Health in recognition of a special endowment established by the Turpanjians for the School. 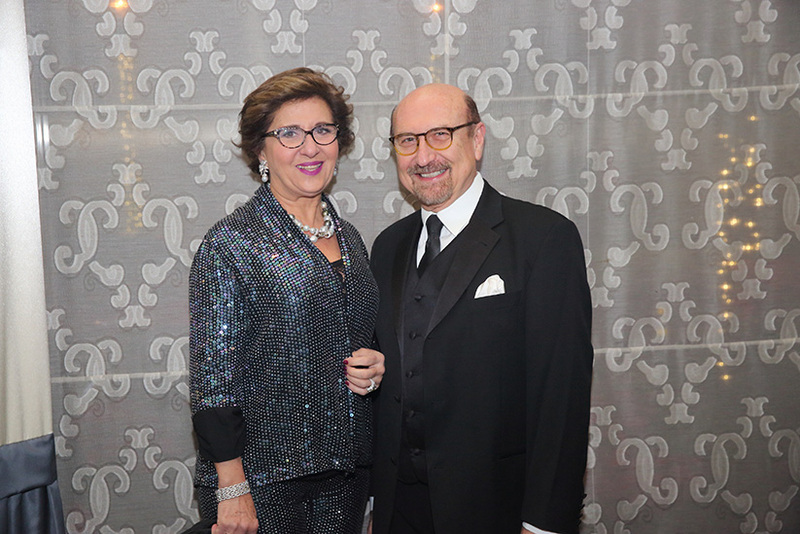 The evening’s musical segment featured a dazzling performance by world-renowned soprano Isabel Bayrakdarian, accompanied on the piano by husband Serouj Kradjian. 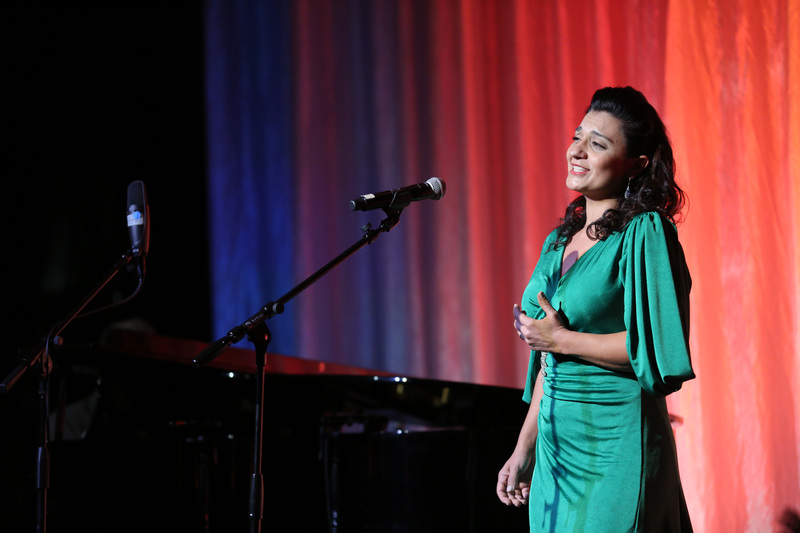 The Grammy Award-nominated singer’s repertoire included pieces by Komitas and Gioachino Rossini. The filmmakers from the motion picture The Promise – Eric Esrailian, Terry George, and Mike Medavoy – also took the stage after a screening of an exclusive behind the scenes clip from the movie. They spoke of the significance of having a UC-affiliated American university in Armenia and touched upon their film’s responsibility to share with the world the historical truth of the Armenian Genocide. The trio called upon members of the Armenian-American community to show their unwavering support for the film, especially in response to lobbying efforts to tarnish its credibility. AUA’s 2016 valedictorian Setrag Hovsepian, who traveled from Yerevan for the special occasion, spoke about how AUA changed his life when he arrived in Armenia from war-torn Syria. Setrag reiterated how the new generation in Armenia wants to help build their homeland and that AUA plays a pivotal role in preparing them for that goal. 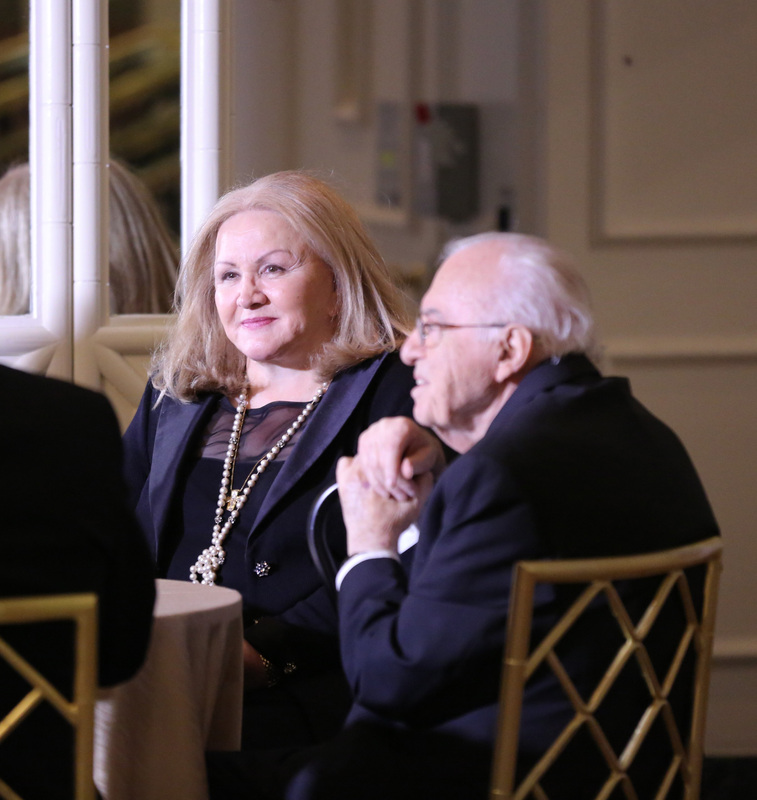 He then introduced longtime AUA supporter and gala co-chair Zaven P. Akian, who had provided a scholarship for Setrag to complete his education. Mr. Akian expressed concern about Diasporan Armenians having the perception that assistance to their homeland is unappreciated and is expected as an obligation. 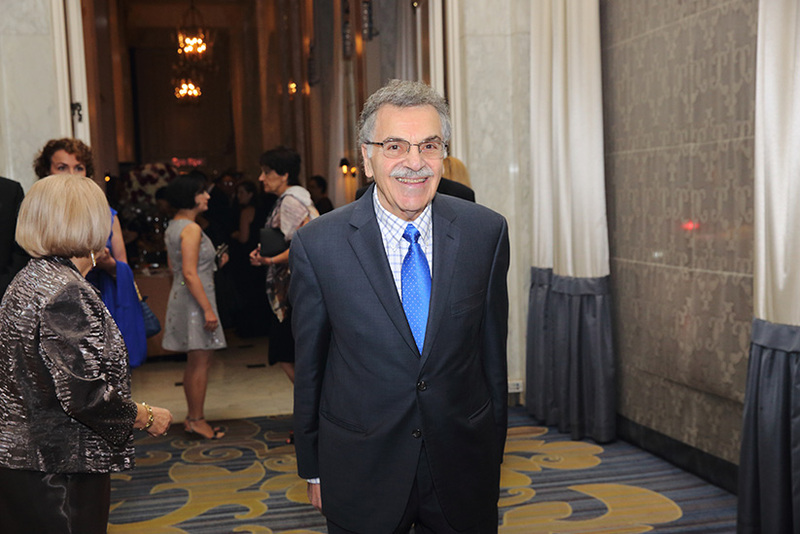 He stressed how his experience as an AUA benefactor had been otherwise with a tremendous amount of appreciation expressed by his scholarship recipients. 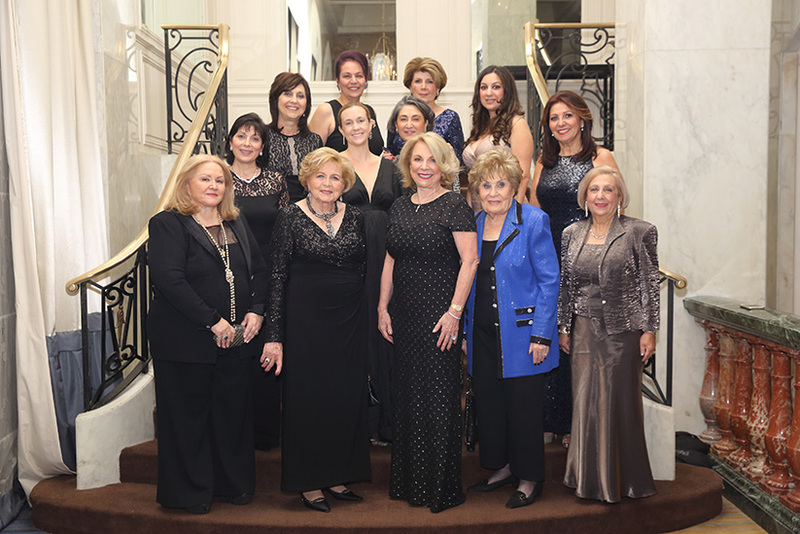 Closing remarks were made by AUA Vice President of Development and Gala Chair Lorraine Alexander who thanked the 25th Anniversary Gala Committee members – Linda Kay Abdulian, Elizabeth Agbabian, Arsho Aghjayan, Diane Cabraloff, Flora Dunaians, Hermine Janoyan, Adam Kablanian, Grace Kurkjian, Margaret Mgrublian, Lori Muncherian, Marissa Nadjarian, Alice Navasargian, Arsine Phillips, Arpi Sarkissian, Raffi Senekeremian, Hayde Torosyan, Savey Tufenkian, Aida Yeghiazarian, and Dzovig Zetlian. She also called upon guests to continue their support for AUA – one of the Diaspora’s most important investments in Armenia. 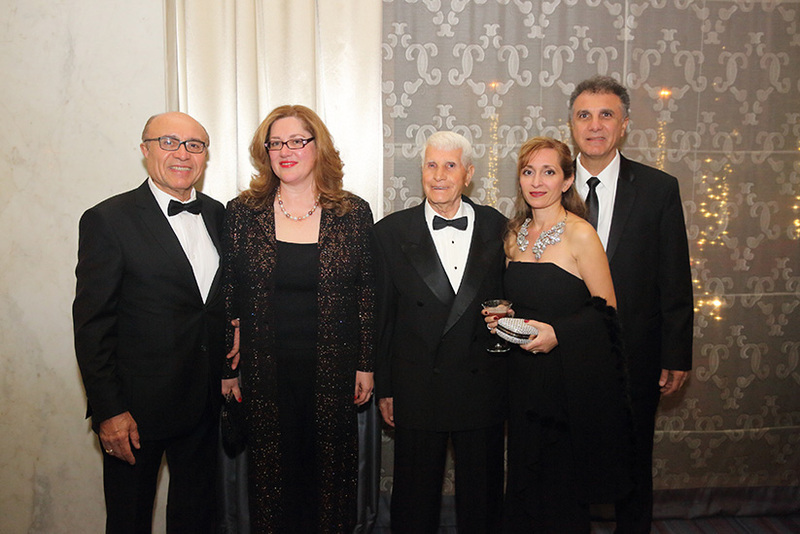 Gala benefactors included Mr. & Mrs. Albert and Terry Bezjian, Mr. & Mrs. Vigen and Houry Ghazarian, the Jack Munushian Charitable Trust, Mr. & Mrs. Gerald and Patricia Turpanjian and Ms. Louise Manoogian Simone. 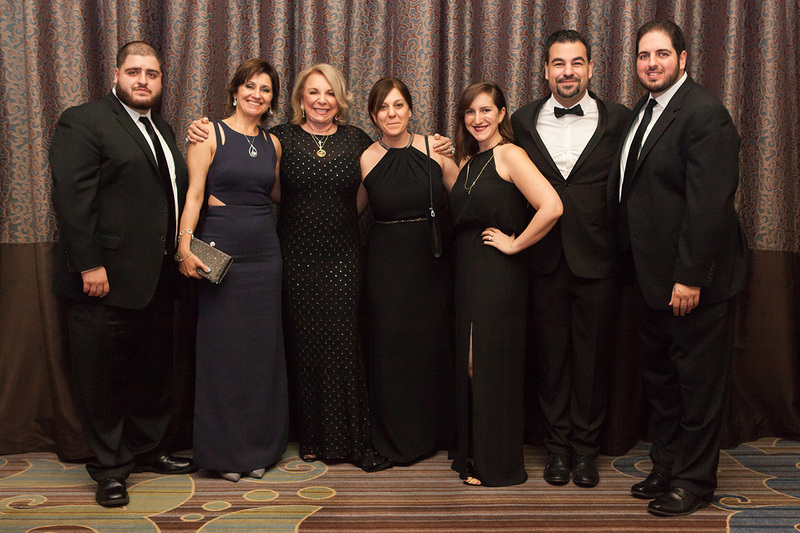 The evening’s Visionary Patrons included The Agbabian Family, Mr. & Mrs. Zaven and Sonia Akian, Mr. & Mrs. Adam and Rita Kablanian, Alice Navasargian, and Mr. & Mrs. Sinan and Angele Sinanian. 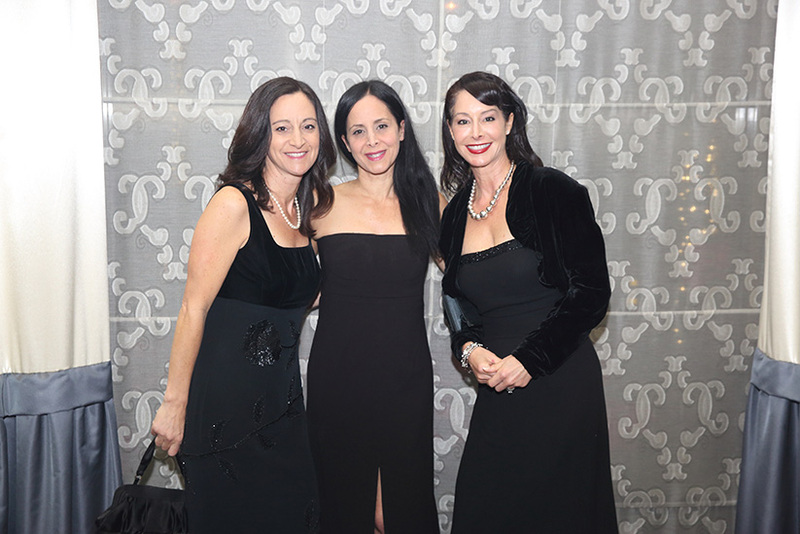 Gala Platinum donors were Edward & Pamela Avedisian, James and Claire Kagan, Vahe Karapetian and Veronique Monique, Frederic Martin and Cynthia Cwik. Corporate sponsors included Rubicon Point Partners, Umpqua Bank, Golden State Bank, and Glendale Adventist Medical Center.